Just Listed :: Gorgeous Townhome in Village Park at Brookhaven! Welcome home! 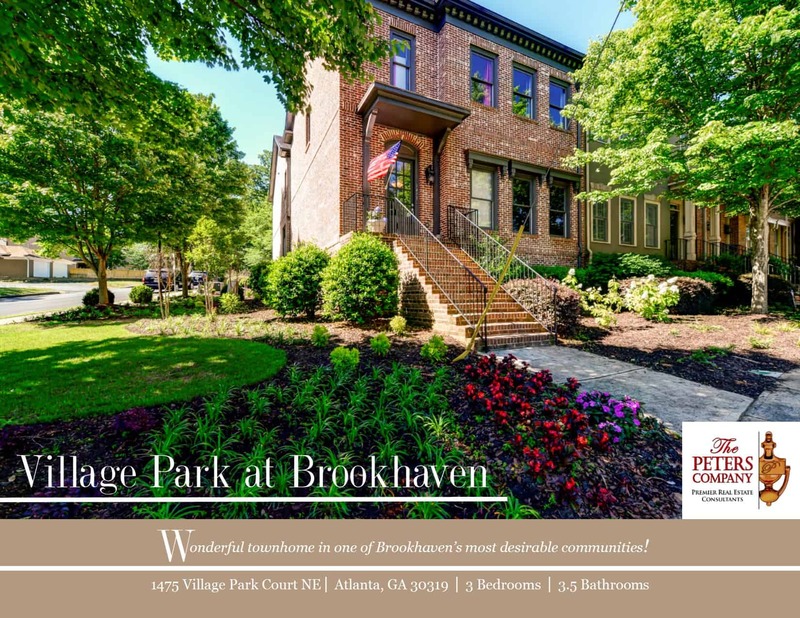 Located in one of the best spots in Brookhaven, this end unit townhome is just what you’ve been looking for. The custom features and charming character of this home will never go out of style. The close proximity to Peachtree Road, I-85, and GA400 makes it convenient to and from any direction. Did we mention that you are literally only seconds from all your favorite hot spots at Village Place Brookhaven including Haven, Valenza, Verde, Kaleidoscope, and Pour? Thoughtful craftsman touches and custom features throughout. Kitchen features stainless steel appliances, ample cabinet space, breakfast area, pantry, and breakfast bar. The spacious living room has a beautiful coffered ceiling, cozy gas fireplace, and wonderful built-in bookcases. The separate dining room is perfect for entertaining. Gleaming hardwood floors throughout the main level. Master suite is a true retreat complete with a walk-in closet and spa-like master bath with a double vanity, jetted tub, and separate shower. Laundry is conveniently located upstairs. The lower level boasts additional living space, a full bathroom, kitchenette, extra storage, and possible 4th bedroom. Call The Peters Company today to see this beautiful townhome at 1475 Village Park Court NE… 404-419-3619! ← Just Listed :: Amazing Views in Metropolis!